Hi Lorene! Can you tell us a little about your latest book? “To Dance with Ugly People," tells the harrowing story of Dani Ransom's travels down several dark paths. She experiences the ravages of drug abuse, suffers psychological cruelty, and the fanatical abusive love of her husband Dane. Experience Dani Ransom “Living on the Edge.” Understand the narcissist hold of Dane on Dani. Witness the chaos of Dani Ransom’s mind. Troubled by man versus women, she makes many wrong decisions. Exhausted by the collapse of every aspect of her life, can she save herself and overcome the shadows of darkness that follows her? Once divorced, she finally finds the love of her life, her greatest muse, an older man, Chance Wiley, but even when she strives to travel the right path, fate steps in. Haunted by her own personal ghosts she can't live life to its fullest. Is fate everywhere we are, involved in everything we do and not just the end result? What do you think? I realized I had experienced a lot in life that had left me strewn and unsettled; writing the book brought about a release of negative energies and the resurgence of a strong feeling of cohesion and belief in myself. My publisher sent me several ideas and the African American couple holding hands was the one I chose. I found the color of their skin to match the descriptions in my book and the tighter hold of his hand on hers to represent the Angsty Romance that emerges. I like to write about womanhood and their life in a prejudicial culture. There is so much advice and information I want to give women to teach caution during different phases of life. I want to talk more about courage, more about depending on one’s own self. Women at times do not value themselves enough. Dani – For me Dani means, “Dead Bird,” Filmmaker Robert Gardner began recording the “Dani” people of the Baliem River Valley. In 1965, he created the film, “Dead Birds,” from this experience. Marie – Dani’s middle name. Nobility. Marie Antoinette had a troubled life. Dobson – Dani’s maiden name. Founder - Dr. James “Dobson” developed Focus on the Family. Dani’s wish was always to have Family. Chancelor (Chance) – After divorce, Dani took a “chance,” on love. Ransom – Dane and Dani’s last name. Dane holds Dani’s life “ransom,” (prisoner) to extort her very soul as if he were the devil himself. Wiley – Chance’s last name. “Wiley” means very clever. In a soft comfortable chair with my laptop on my lap, in the middle of the night while everyone sleeps. ALICE WALKER – Image experiencing the deep conversation that would fill the room as we discuss her passionate belief in, “The Color Purple,” and the major emotional toll on her due to the negative fallout of the black community's reaction to the film, but most importantly how she made it through. NTOZAKE SHANGE – Born Paulette Williams, I’d like to discuss what was the inspiration behind her choosing and taking her African name, Ntozake Shange, which means “she who comes with her own things” and she “who walks like a lion.” I love the way she draws heavily on her experiences of being a black female in America as I do. “For Colored Girls Who Have Considered Suicide/When the Rainbow is Enuf” is my favorite! 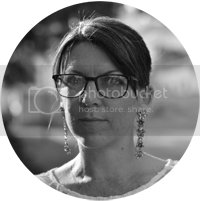 TERRY McMILLIAN – I find my ideas for writing books from real life as Terry McMillian does. I’d like to pick her brain. For example, a Jamaican vacation was the inspiration for her best-seller, “How Stella Got Her Groove Back.” I believe Terry and I could become best friends. I had a fear of confrontation and as far back as I can remember - I have avoided expressing my rage face to face with my antagonist. When angry, as a Child, I wrote notes and stuck on doors. As an Employee I placed notes on the desks of co-workers. As a Wife (now divorced) I wrote letters and placed under the dinner plates. Oh, and over the years there have been many letters of protest, love or rage that has been dropped in my nearby mailbox. As of 2014, Lake Helen, Florida's population is 2,638 people. Lake Helen was one of the first settlements in Florida. 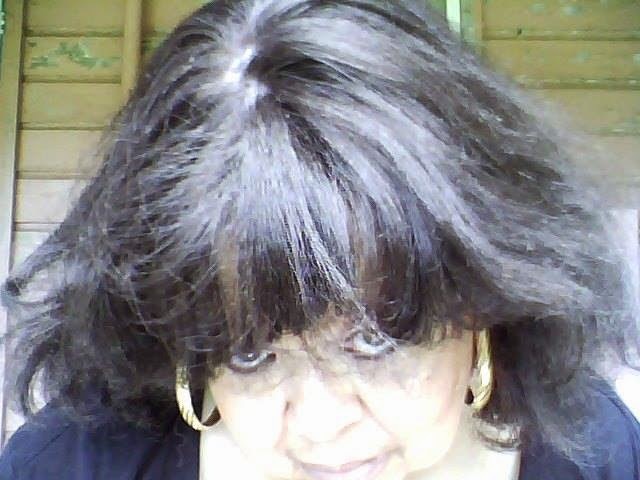 Lorene Stunson Hill is a new aspiring author from Florida, USA. 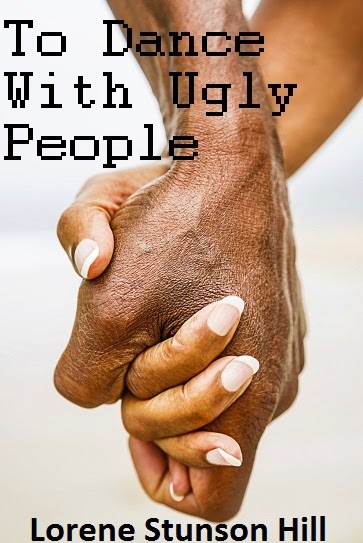 Her first fiction novel, released June 18, 2014, "To Dance with Ugly People," and is now available in Paperback. Lorene was born in St. Louis, Missouri but grew up in Detroit, Michigan then moved to Central Florida. Her life was not as she would have wished it to be; one of ease and luxury. In fact, the opposite was true. She wished to make it more than it was and tell her impressions in a story, warts and all, to help others and help bring forth something good out of misery. Family experiences are universal. Lorene drew from the wealth of experiences placed in her life path to create, "To Dance with Ugly People.” Along that path she completed Creative Writing Courses at the University of Central Florida under the esteemed guidance of Professor Wyatt, Wyatt, who taught her that, if you want to write you cannot be a coward. The only manuscript she has ever sent out before was a short story titled, “Quagmire” and it became a finalist in the Detroit Black Writer’s Guild Contest, receiving honorable mention. Synopsis: Detroit, Michigan. The era of the 1967 Detroit riots. Troubled by the constant battle of man versus women, Dani Marie Dobson is faced with many problems. Naïve and lonely, at the age of 16, Dani Marie Dobson experiences her first romance. A romance with a controller, manipulator and charmer – Dane Ransom, for Dani her victory gives her hope. She marries, at the young age of 18. Married, she experiences the ravages of his drug abuse, suffers psychological cruelty, and agonizes over the fanatical abusive love of her husband Dane. However, Dani finds herself divorced, the mother of a young son, DeAndre, and thrown out of the house by Dane. She is deeply disturbed by her inability to control the utter destruction of her life, until she finds the love of her life, her greatest muse, an older man, Chancellor Wiley. Haunted by her own personal ghosts Dani can't seem to live her life to its fullest. If Dani could save herself and overcome the shadows of darkness that follows her, she could experience the romance of a lifetime. This thrilling and angst romance will show you how the good can be sensitively written, the bad is the reality of life and the ugly are the things in life we hope will never happen to us, but perhaps dreams can come true. Against all odds!